Welcome to SNUGGLERAGS – A California Ragdoll Cattery! WE HAVE RAGDOLL KITTENS READY FOR THEIR FOREVER HOMES! Please see our Available Kittens Page! We are a small TICA Registered Ragdoll Cattery in Southern California located in the West Los Angeles & Santa Monica area. Our show cats can be seen at local shows & across the U.S. & Canada where we exhibit our adult cats and up and coming (kitten) stars. 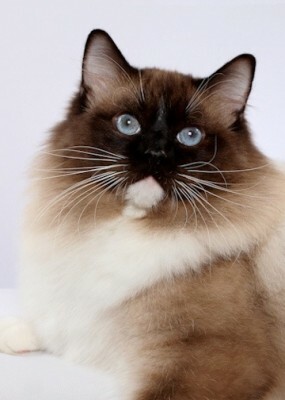 Here at Snugglerags Ragdolls, we have only a few precious litters per year and all of our kittens not only come from Championship lines BUT their parents are, themselves, Champions– many at world class levels. This means we not only strive to meet the Ragdoll Standard but to exceed it. We believe that by having the BEST parents, our kittens have excellent temperaments, beauty and health. SNUGGLERAGS is a TICA Registered Cattery and we have signed & abide by the TICA Voluntary Code of Ethics. Why is this important for somebody interested in a pet?? Very important!!!!!! As a reputable small hobby breeder who has signed the “Voluntary CODE OF ETHICS” from The International Cat Association (TICA), I guarantee the health of my kittens/cats to be in good health at the time of sale (this includes up to date vaccines), they will be spayed/neutered prior to going to their new home, all kittens & cats are registered with TICA, and I will place kittens only in homes that I believe will provide a life-long commitment of love, appreciation and responsible care. This includes optimal health practices– key to long term health of your kitten/cat. 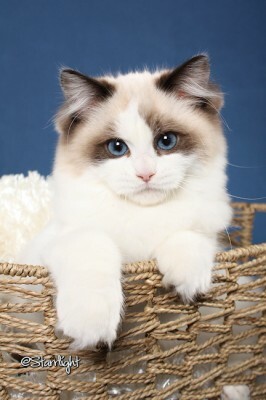 Appropriate health practices combined with excellent examples of the Ragdoll breed standard for parents, sets us (and other reputable breeders) apart from back-yard breeders….Buyer beware of back-yard breeders!!! Charlotte is now a Supreme Grand Champion!!!! Ms Charlotte, came to us from Northern California late Jan. 2011. 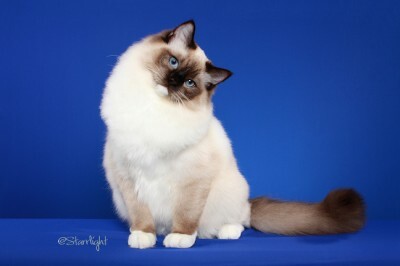 Within (3) short months, she became a regional winner (RW) in the Southwest Region & the SW Best Ragdoll Kitten 2010-2011 show season and 6th Best Ragdoll kitten in the World!! Charlotte is now on her way to another RW in the adult Championship class.